Immaculate 1 BR unit on the third floor in quiet, gated Villages of Devinshire. PRICED TO SELL BELOW WELL-KNOW ONLINE ESTIMATES! Fresh paint/new carpet. Garden setting w/spacious covered porch overlooking wooded area. Open floor plan w/kitchen view to great room/dining room w/vaulted ceiling. Master boasts ensuite w/garden tub and oversized walk-in closet. Washer/dryer conveniently located adjacent to master. 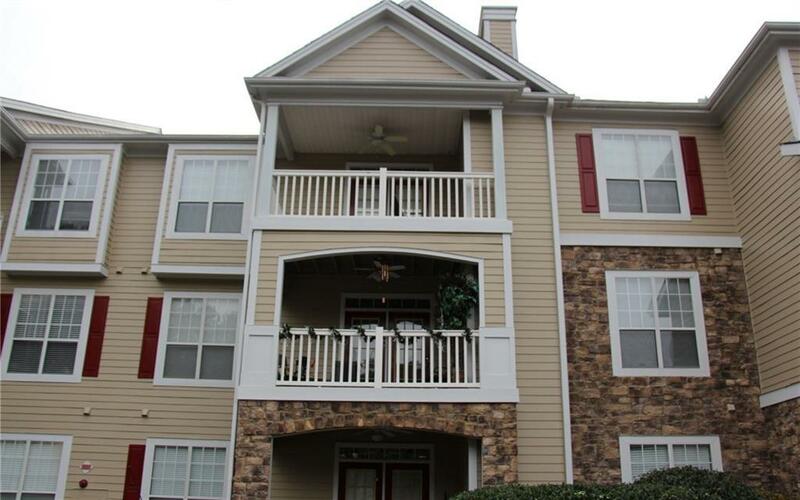 Location convenient to shopping, restaurants, public transportation, with easy access to GA 400. Fabulous community w/all amenities FOR FEES LOWEST IN COMMUNITY!! Directions: 400n To Exit 11-Windward Pkwy. Turn Left Under Bridge. Turn Right On Deerfield Pkwy. Turn Right On Whitshire Way.